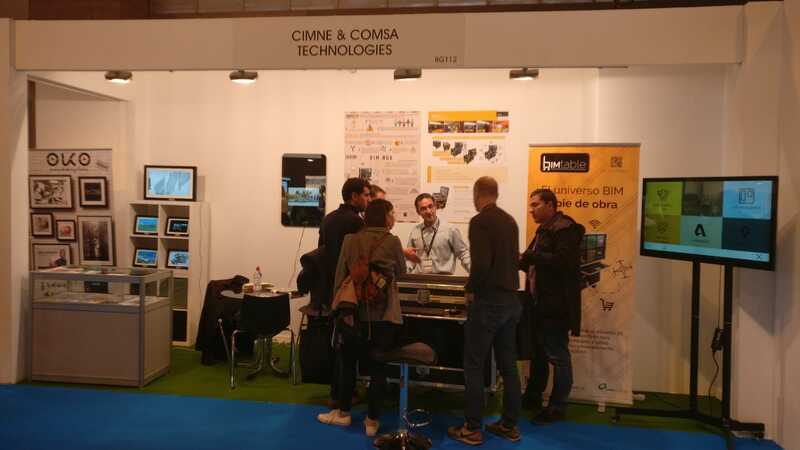 During the third week of July CIMNE (International Center for Numerical Methods in Engineering www.cimne.com) and SEMNI (Spanish Association of Numerical Methods in Engineering) organised at the Palau de Congressos de Catalunya (Barcelona, Spain) the 11th. World Congress on Computational Mechanics (WCCM XI), the 5th. European Conference on Computational Mechanics (ECCM V) and the 6th. 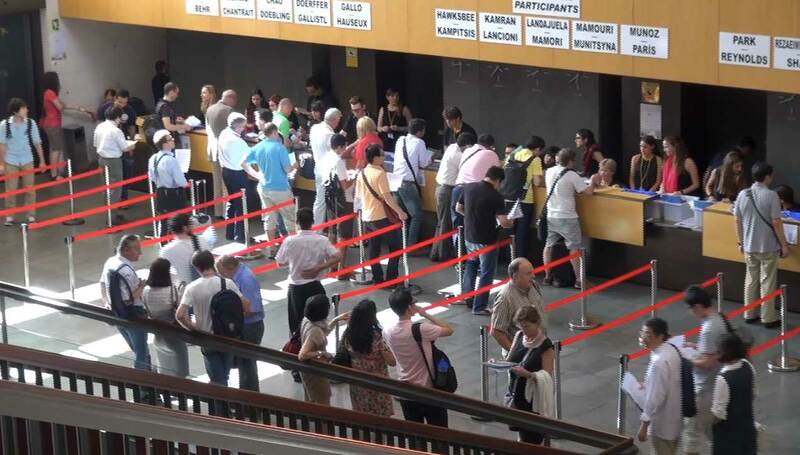 European Conference on Computational Fluid Dynamics (ECFD VI) gathering four thousand attendees from 52 countries. Numerical Methods are constantly present in our lives as they are used to design all the elements that surround us: buildings, cars, trains, airplanes, all the household items, etc. 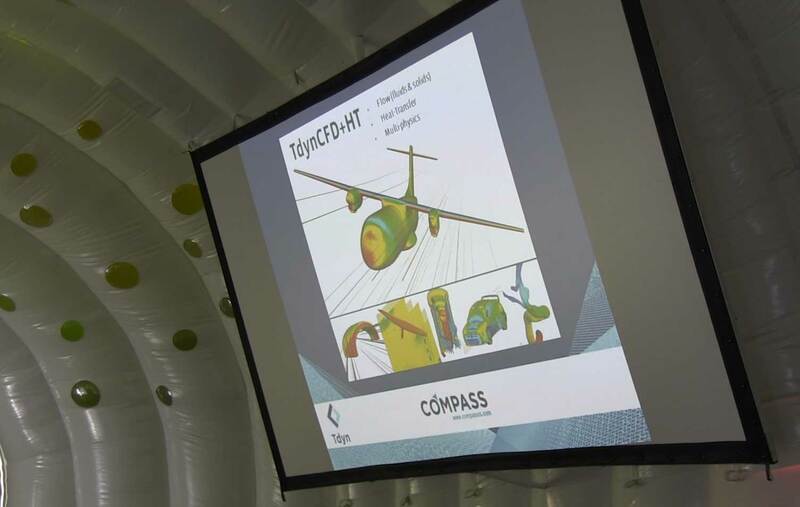 During the creation process of a new product these methods are applied, as they help us to anticipate which shape the objects should have, if they will resist the loads for which they were designed or how a particular design will behave in a computer without spending money building a test product. 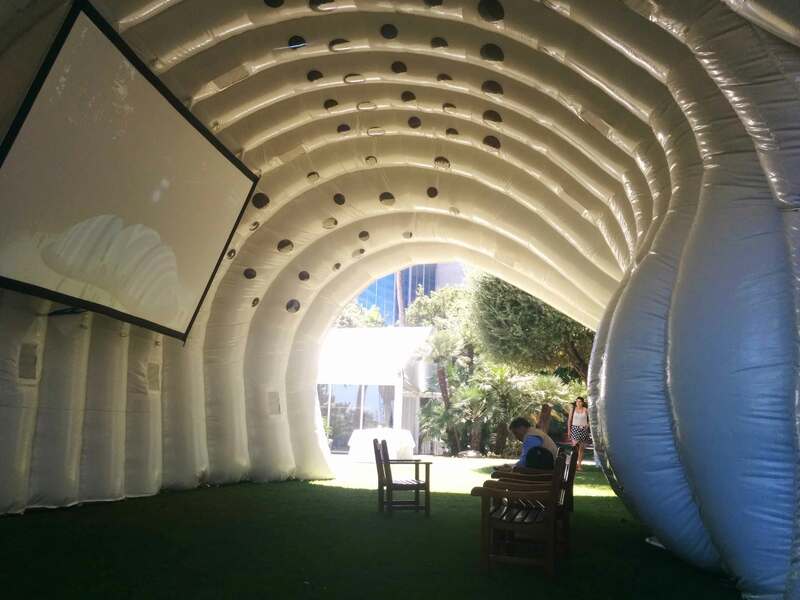 Portable Multimedia Solutions uses numerical methods to calculate its structures. 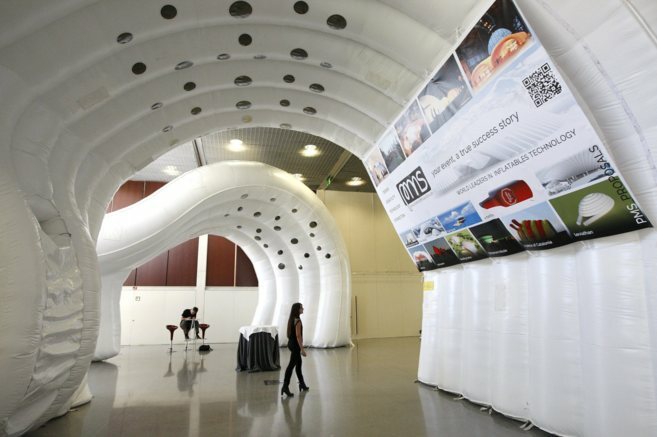 Thus the congress was a fantastic opportunity to present the new inflatable multimedia structures design by PMS and manufactured with the collaboration of BuildAir (www.buildair.com). Two twin structures were installed with different objectives, one in the main Exhibition Hall and the other one in the garden area of the congress. Both structures were open for the attendees to the congress. 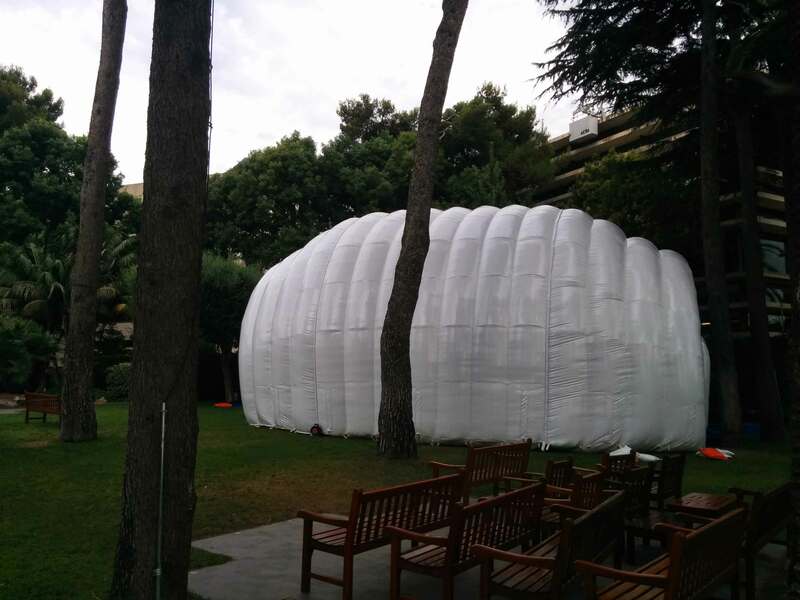 The structure installed in the garden covered an area of one hundred square meters. Inside the users could follow four simultaneous technical sessions broadcasted live from the auditorium. 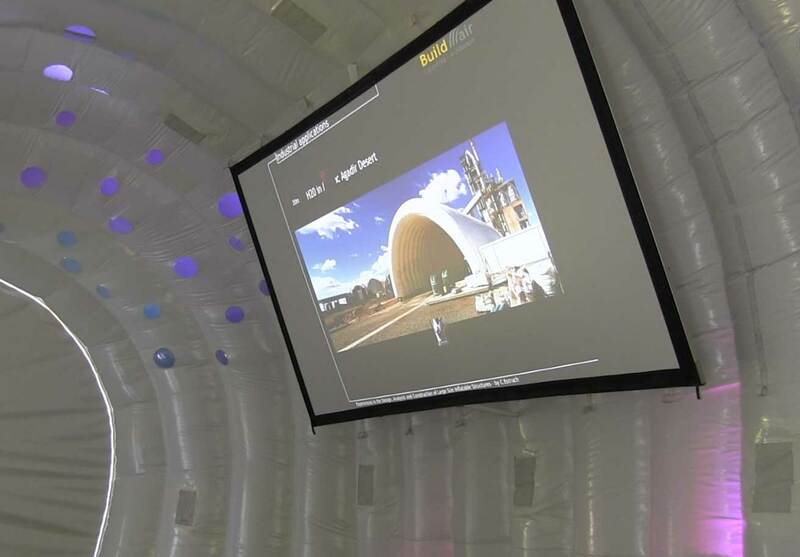 During the coffee breaks they enjoied a revolutionary 3D audio and video production using the system embedded in the structure made-up of 15 speakers that created and immersive environment. 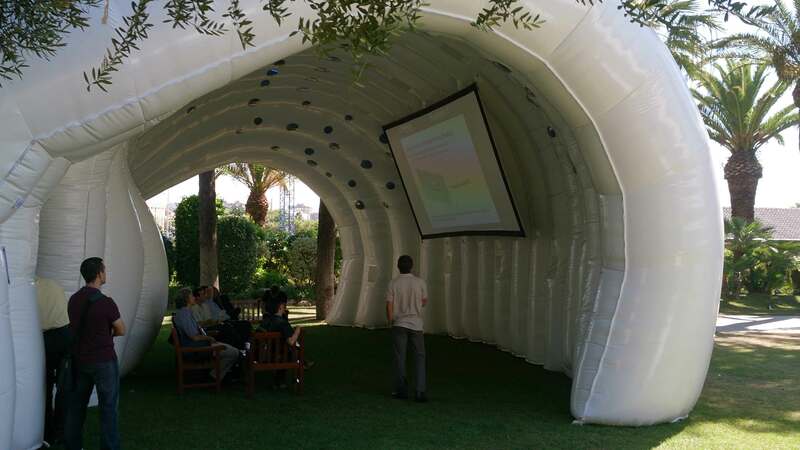 Moreover the inflatable pavilion become an extra exhibition hall where 6 companies presented their products using the projector and lightning system embedded inside the inflatable tubes. 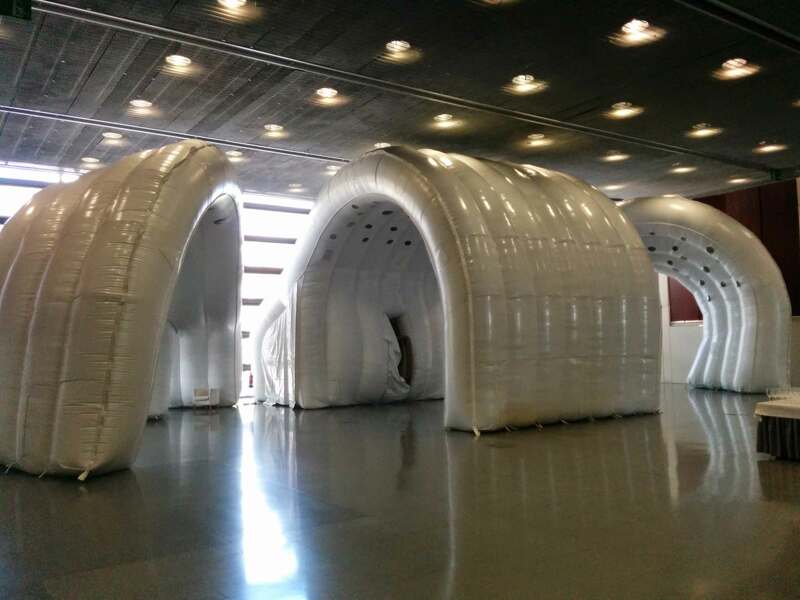 The structure installed in the congress area was split into three pieces covering a large space and showing the versatility of these structures. 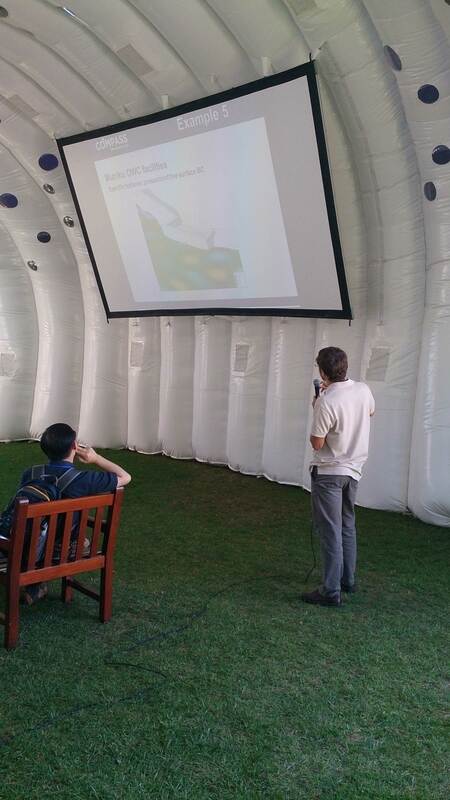 This space was used as an exhibition space with a big poster and different spaces to allocate meetings. 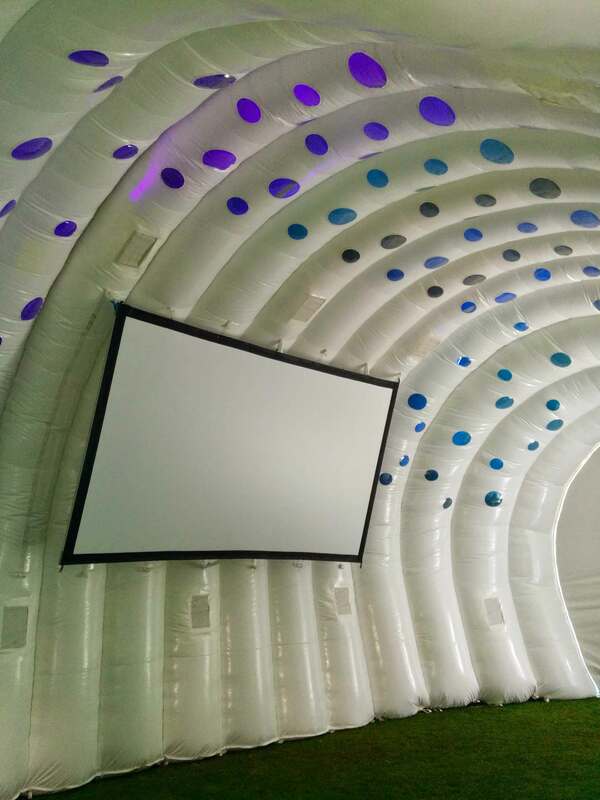 Also, background music was played all the time thanks to the audio system embedded in the structure. The congress had an important impact in the Spanish media as it was the first time that the WCCM congress took place in Spain. Several media mention or show a picture of the PMS structures, evidencing the success of the concept.